FIRST CLASS STYLE WITHOUT THE FIRST CLASS PRICE TAG! 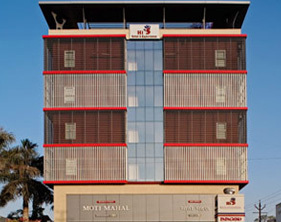 We're located right in the heart of Nashik, where we offer our guests affordable quality accommodation. Hi5 Hotel, Nashik is delighted to be able to offer you exceptional accommodation in some of the most desired travel locations in Maharashtra, India. 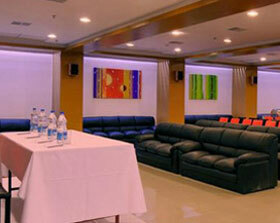 At the Hi5 Hotel in Nashik, we have the facilities to meet your needs whether private or corporate. The hotel has a diverse mix of 60 rooms & suites ranging from standard rooms to deluxe suites. 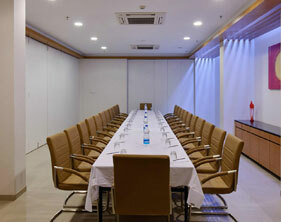 The Hi5 Hotel Conference Centre consists of 1 conference rooms catering for groups of 25 up to 400. 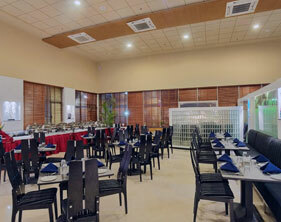 All this is combined with our Moti Mahal Restaurant and Bar serving fine quality cuisine in comfortable surrounding. Our Hi End Cafe has a variety of beverages and delicacies to choose from. Centrally located in Ambad MIDC, it is situated on NH 3, Mumbai Agra Highway. 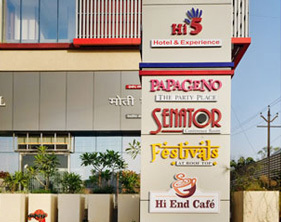 A stylish retreat, 5 kilometres south of town,10 kilometres of Nashik Railway Station, Hi5 Hotel & Experience has close proximity to Satpur, Sinnar MIDC and Gonde Industrial Hub. Nashik, known as Wine Capital of India, is famous for Kumbh Mela, a religious gathering attracting vast number of devotees and also for religious places like Shirdi, Trimbakeshwar and Vani, to name a few.